Eli Talmor is a professor at London Business School and founding Chairman of its Coller Institute of Private Equity. He was previously a professor of finance at the University of California (UCLA and Irvine), Tel Aviv University, and the Wharton School (University of Pennsylvania). Professor Talmor is a seasonal private equity practitioner and has been a director of European and American corporations. He served on the advisory board of the African Venture Capital Association and the Board of Governors of London Business School. He has frequently been invited to deliver keynote speeches to business executives worldwide and interviews to the international media on timely private equity matters. In recent years he has been asked by the U.K. Parliament to provide equity and to advise the U.K. Prime Minister’s office. Professor Talmor holds a Ph.D. from the University of North Carolina at Chapel Hill and a B.Sc. from the Technion Israel Institute of Technology. Florin Vasvari is an Assistant Professor of Accounting at London Business School and a fellow of the Coller Institute for Private Equity. He co-teaches the Private Equity School with Professor Talmor, and consults with several organizations. Professor Vasvari is actively pursuing research on private equity topics and debt markets. He has published several articles in top-tier academic journals such as the Journal of Accounting Research and Review of Accounting Studies and has been invited to present his research at top business schools such as Chicago GSB, Columbia Business School, Wharton School, MIT Sloan School of Management, Harvard Business School, INSEAD, and others. He is on the editorial board of Contemporary Accounting Research and the advisory board of the Center for Accounting Research and Education. Professor Vasvari holds a Ph.D. from the University of Toronto, Rotman School of Management and M.A. from the University of Toronto, Department of Economics. Part 1 Overview and fund-level analysis. 1.2 Cyclicality of the private equity industry. 1.3 Statistics on the private equity industry. 1.5 The outlook of the private equity industry. 2 Private equity fund economics. 2.2 Private equity firms or general partners (GPs). 2.3 Investors in private equity funds or limited partners (LPs). 2.4 Private equity funds or limited partnerships. 3 Performance measurement in private equity. 3.2 Measures of private equity fund performance. 3.3 Benchmarking private equity performance. 3.4 Academic findings on the performance of private equity funds. 3.5 Why the performance assessment of private equity remains difficult. 4 Private equity investing in emerging markets. 4.3 Drivers for PE investments in emerging economies. 4.4 Risks of investing in emerging economies. 4.5 Market structure and investment characteristics. 4.6 Comparative landscape of emerging markets. 5.1 What is fund due diligence? 5.3 Fund due diligence in detail. 6 Private equity fund accounting. 6.1 What is happening in private equity accounting? 6.2 Current major issues and complexities. 7.2 Main types of professional advisors. 7.4 Outsourcing to a fund of funds. 7.6 Selecting a fund of funds. 8.2 Benefits and disadvantages of listed private equity. 8.3 Economic and organizational forms. 8.5 Estimated risk profile of listed private equity. 9.3 Parties involved in secondary transactions. 9.5 The pricing of secondary transactions. 10 Valuation of private equity companies. 10.3 Implementation of the main valuation methods: multiples and DCF. 10.4 Pitfalls to be wary of when valuing private companies. 11 Deal analysis and due diligence. 11.3 Circumstances influence the due diligence process. 11.4 Deal analysis and due diligence during the sale process. 12.2 LBO execution: The deal process. 12.4 Value creation in an LBO. 13 Leveraged buyout modeling: An Excel application. 13.2 Build a pre–transaction structure model. 13.3 Determine transaction structure: Uses of funds. 13.4 Determine transaction structure: Sources of funds. 13.5 Build a post–transaction structure model. 13.6 Determine exit and compute returns. 13.7 Optimization and analysis of the LBO model. 13.8 Analysis of the Toys R Us LBO. 14.1 What operational improvements are made post deal? 14.5 When things go wrong. 15 Harvesting private equity investments. 15.2 Steps to exiting a private equity investment. 16.1 What is angel investing? 16.2 What motivates business angels? 16.4 Recent developments and trends. 17.2 What is venture capital. 17.3 The VC investment process. 17.5 Alternative sources of VC financing. 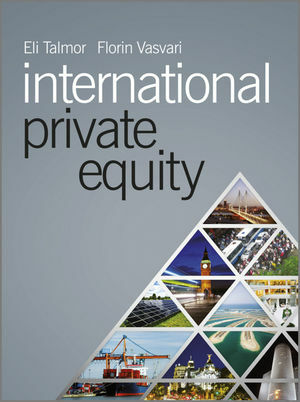 19 Swicorp: Private equity in the MENA region 2009. The MENA Private Equity Landscape. The role of sovereign wealth funds (SWFs). Vietnam and the private equity industry. MEF I and the initial investment philosophy. MEF I case study: AA Corporation. MEF II and a new investment philosophy. MEF II case study: International Consumer Products. 2007—searching for answers from within. 21 Bloomsbury Capital: June 2007. 22 Edcon: Going shopping in South Africa. Edcon: A Leading South African Retailer. The global and European directory market. Market entry of Pagine Utili. The Internet: Threat or opportunity? Italian economic and political landscape. 25 Ducati and Investindustrial: Racing out of the pits and over the finish line. The world motorcycle industry in 2008. A "wild ride" for Ducati's stock. 26 Styles & Wood: Behind the scenes of retail. Styles & Wood: The history. Gerard Quiligotti and the turnaround years. The MBO: The fall of Wembley Stadium Group. Styles & Wood since 1996: Managing the growth strategy. Project Oak in 2001: Management incentives and reaping rewards. Project Oval in 2004: From 3i to Aberdeen—secondary buyout decision. 27 SunRay Renewable Energy: Private equity in the sunshine. SunRay's choice of solar technology. The value chain of a solar PV developer. The European renewable market in 2006–2008. Learning the solar PV game the hard way. Scaling up the business across Southern Europe. Under the umbrella of private equity. Montalto di Castro: Building the largest solar power park in Europe. Post deal and going public again. 29 Optos: A sight worth seeing. Douglas Anderson and the vision. Scottish business landscape and funding for early-stage startups. Diseases of the back of the eye and Optos's target market. Business model: The "razor/razor blade" concept. 30 Capital for Enterprise U.K.: Bridging the SME early-stage finance gap. Previous attempts by the U.K. government to tackle the "equity gap". Key questions and options for the ECF program design. The first years of operation of the ECF program. A few years on: A first assessment.